The Development of International Law in Asia-Korea (DILA-KOREA) is the academic institution which is responsible for the administration of The Foundation for the Development of International Law in Asia (DILA) along with the Asian Yearbook of International Law (Asian YBIL) and Asia Paciﬁc Ocean Law Institutions Alliance (APOLIA). Professor Seokwoo LEE of Inha University Law School serves as Chairman of the DILA-KOREA and is joined by with Professor Eon Kyung PARK of Kyung Hee University [Executive Director]; Professor Hee Eun LEE of Handong International Law School [Director for Publications]; and Professor Seryon LEE of Chonbuk National University Law School [Director for External Affairs]. 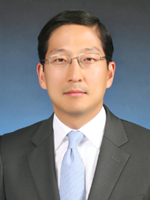 Seokwoo LEE is Professor of International Law, Inha University Law School, Korea (2003-present). He was Chairman of the Foundation for the Development of International Law in Asia (DILA) (2012-2017). He is Co-Editor-in-Chief of the Asia-Pacific Journal of Ocean Law and Policy (APJOLP) and Asian Yearbook of International Law, Executive Editor of the Korean Journal of International and Comparative Law, Co-Series Editor of the book series entitled Maritime Cooperation in East Asia, and Associate Editor of Brill Research Perspectives in the Law of the Sea, all published by Brill. He has authored more than 80 publications in English in addition to his more than 80 publications in Korean. His representative recent book publication in English is: The Making of International Law in Korea: From Colony to Asian Power (co-authored, Brill/Nijhoff (2016)). He holds a D.Phil. (Oxford), LL.M. (NYU, Minnesota, and Korea University), and LL.B. (Korea University). Eon-Kyung PARK is adjunct professor of Kyung Hee University, Seoul, Korea. He received his Ph.D. in international law from Kyung Hee University. He is currently teaching International Law, International Economic Law, and other International Law-related subjects at Kyung Hee University and Soongsil University. He is a Director of the Korean Society of International Economic Law (KSIEL, 2014~present), the Korean Society of International Law (KSIL, 2013~present), ILA Korean Branch (2012~ present), the Korea Association of Security and Trade (KAST, 2014~present), and Executive Director of the Foundation for Development of International Law in Asia-Korea (DILA-KOREA, 2015~present). 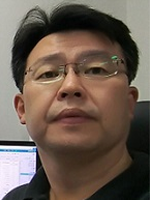 His recent publications include “Whether Korea’s Export Permit Regulations on a Strategic Good under the Foreign Trade Act is a Peremptory Norm: A Focus on the Illegal Exporting Case of Mugunghwa Satellite No.3”, Korean Journal of International and Comparative Law (2016); “Status and International Cooperation Aspects of Air Quality Control Law and Policies in Korea”, Asian Yearbook of International Law (2017). 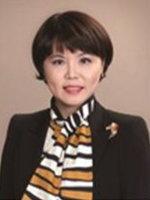 Hee Eun LEE is Associate Dean and Professor of Law at Handong International Law School located in Pohang, Korea. He is also the Co-Editor-in-Chief of the Asian Yearbook of International Law published by Brill. He received his bachelor’s degree (A.B.) from Vassar College; master’s degree in international relations (M.A.) from Syracuse University, Maxwell School of Citizenship and Public Affairs; and law degrees from Syracuse University College of Law (J.D. with honors) and New York University School of Law (LL.M.). Licensed to practice law in New York, he was involved in commercial litigation and maritime arbitration with Burlingham Underwood LLP in New York City. Professor Lee was a visiting fellow at the Center for Law and Religion at Emory Law School (2011) and has lectured in the Regent University School of Law Summer International Law and Human Rights Program in Strasbourg, France (2005 and 2013). He teaches and writes in the areas of public international law, international human rights, international economic law, and property. His recent publications include The Making of International Law in Korea: From Colony to Asian Power (2016) and Northeast Asian Perspectives of International Law: Contemporary Issues and Challenges (2013) along with book chapters and journal articles. 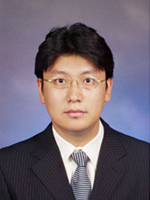 Seryon LEE is a Professor of International Law at Chonbuk National University School of Law, Korea. She does most of her research in the ﬁeld of international public law, including international human rights / humanitarian law, international dispute settlement and international institutional law. She has been serving as a member of the National Refugee Committee at the Ministry of Justice in Korea (2016-present) and has engaged in the activities at the ILA Korean Branch, one of which includes her role as an executive editor of the Korean Yearbook of International Law (2014-present). She currently serves as a director of international affairs at the Korean Society of International Law and participates as an editorial member of Seoul International Law Journal, as a managing editor of Asia-Pacific Journal of Ocean Law and Policy and as an advisory member of Journal of International Trade and Business Law. She holds a B.A in Political Science (University of Chicago), an LL.M. in International Legal Studies (New York University School of Law), and a Ph.D. in Law (Yonsei University, Korea). Her recent publications include “Legal Feminism and the UN's Gender Mainstreaming Policy: Still Searching for the Blind Spot?,” Journal of East Asia and International Law (2013) and “Assessment of Korea’s Pilot Refugee Resettlement Program,” Korean Yearbook of International Law (2018).